"Jack Russells Are Mischievous Address Labels" product is already in your cart. 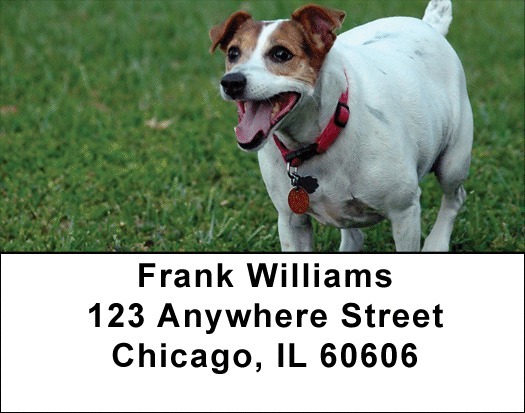 Jack Russells Are Mischievous Address labels feature 4 images of these energetic and lovable dogs. Bred in the 19th century for hunting game, the breed is named after English clergyman, John Russell (Parson Jack). These courageous dogs will take on adversaries twice their size without pause and require plenty of exercise and discipline. Jack Russells Are Mischievous Address labels are self adhesive. Matching checks are also available.